Just 70 miles north of Los Angeles, located Ojai, one of the most charming towns in Southern California. Known for its incredible location, a small valley surrounded by majestic mountains, famous pink sunsets and luxury inns and resorts, the place attracts many celebrities, musicians, politicians and other influential people all year round. We drove to Ojai to escape the hustle and bustle of Los Angeles for one day and explore this rural gem and its surrounding area. Neither hotels nor resorts were included in our plans. 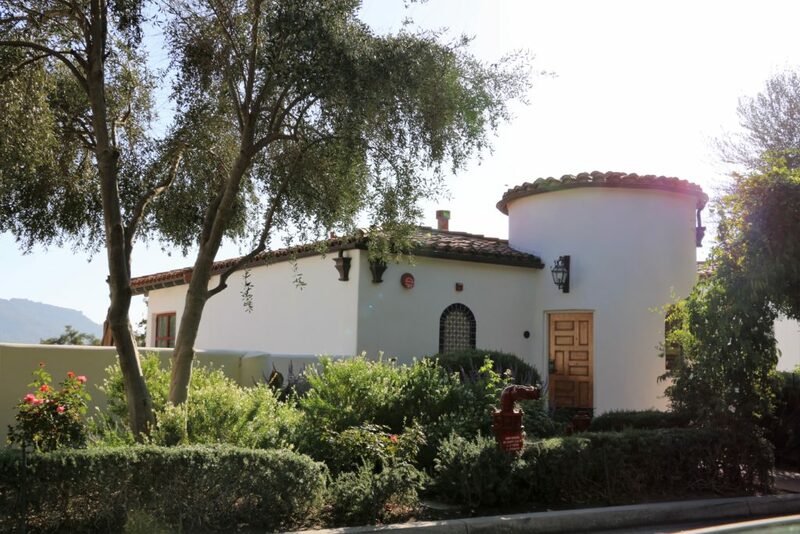 Driving through the city, we were attracted by big golf course and glimpses of houses built in what it looked like Spanish Colonial architectural style. 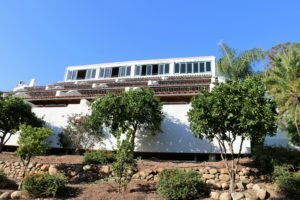 This turned out to be Ojai Valley Inn & Spa, one of the most luxurious hotels in the city. Unable to resist our curiosity, we approach parking attendant on duty who politely let us drive in and tour the resort. Let’s explore the best place for your next weekend getaway. The only resort in the region that has earned the Five Diamond Award since 2006 and is a member of Historic Hotels of America, Ojai Valley Inn & Spa is a beautiful combination of modern opulence and unspoiled natural beauty. 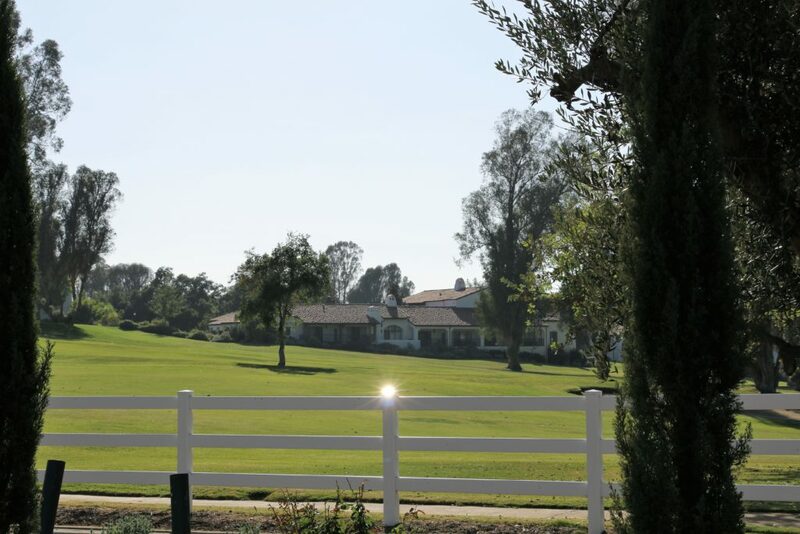 First intended as a private country club and golf course, the Inn quickly became one of the favorite luxury getaways of many celebrities and golf players. Throughout its almost a century history, the Valley Inn & Spa has conquered the hearts of its guests with the magnificent landscapes and panoramic views along with first class service; held some of the major golf tournaments; and underwent two multi-million property-wide renovations. 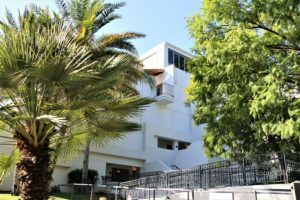 Today the Valley Inn & Spa is a glamorous 305-room property with abundance of recreational activities and entertainment for its guests. 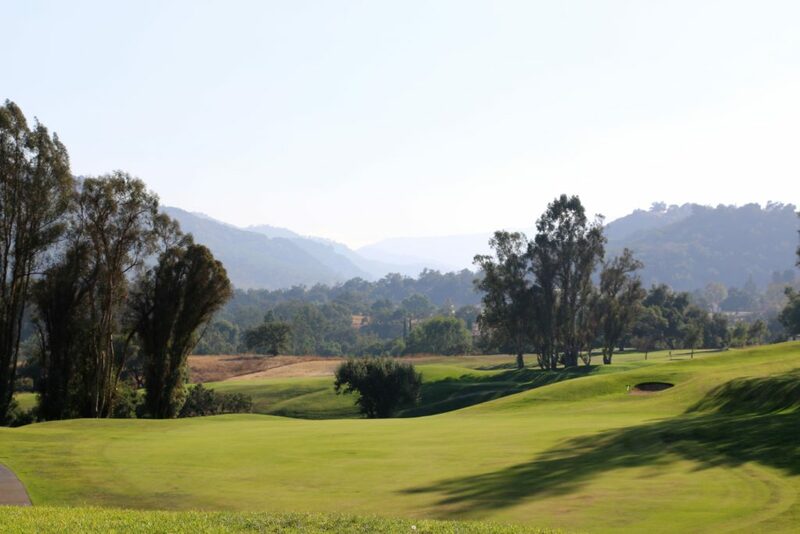 George C. Thomas designed golf course, large Spa Ojai, Apothecary with its remarkable soothing essential oils blends, multiple pools and five restaurants are designed to delight the guests and provide them with unforgettable award-winning experience. In 2017 Travel + Leisure’s “World’s Best Awards” named the Ojai Valley Inn & Spa #8 Resort Hotel in California. 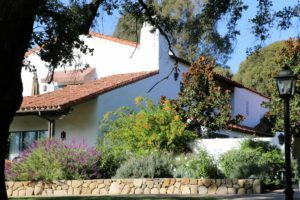 While staying at the Ojai Valley Inn and Spa, it’s almost impossible not to venture to downtown Ojai and explore its boutiques and art galleries, indulge in delicious food at numerous restaurants and enjoy local wine at many wine tasting rooms. 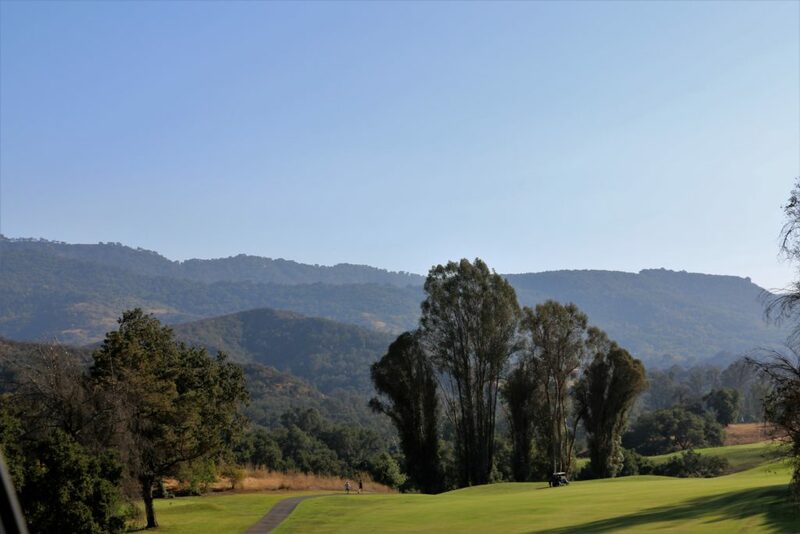 To accommodate the guests, the resort delightfully provides them with Ojai Trolley Service. The trolley runs every hour and every other hour on the weekends and makes every trip to the downtown area easier and more enjoyable. We haven’t stayed at the Inn but were politely provided with a quick tour of the property, which itself is quite an adventure. 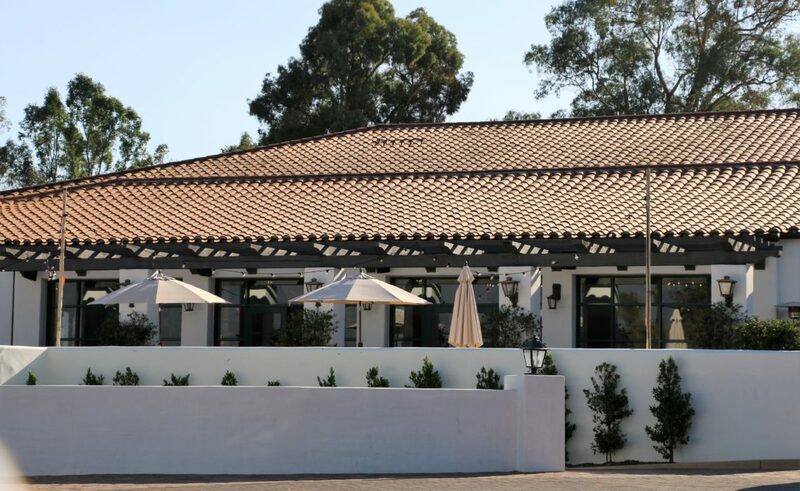 The beautiful buildings, gorgeous golf course, stunning views and incredible personnel make the visit to the Ojai Valley Inn & Spa an enhancing experience. This is a definitely a pitch-perfect weekend destination! Thanks for bringing this place closer, Zhanna! My pleasure, Agness! You are right, the place is stunning. Anything to do with golf I love, this resort looks awesome! Wow, this location is beautiful! I would love to stay at that Inn…it looks amazing! Yes, it is 🙂 Thank you very much, Valerie! This place looks amazing! I love all f the architecture – I’d definitely visit if I had the chance. Great post! This places is absolutely beautiful!! Thank you, Patricia! No matter where you look, everything looks so stunning and serene. Looks like a great resort. Nice to know about this area in SoCal. Very nice photos dear!